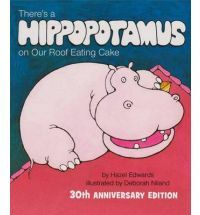 Eating cake is not the only thing this particular hippopotamus does. This hippopotamus gets to do lots of fun things. The main character has a wonderful imagination and the story is accompanied by simple and appealing illustrations. This is a truly fun story that has withstood the test of time and is still being published 30 years on.